“Islam isn’t in America to be equal to any other faith but to become dominant. The Koran, the Muslim book of scripture, should be the highest authority in America, and Islam the only accepted religion on Earth,” San Ramon Valley Herald reporter Lisa Gardiner wrote when summarizing the message of Council of American Islamic Relations (CAIR) founder Omar Ahmad to a Muslim audience in 1998. But if yours is an Islamist organization, operating as a mainstream advocacy group in a country that has not accepted Allah as supreme, how do you remain relevant and keep Islam on a pedestal? Answer: sue, coerce, and intimidate those who say or write things damaging to the image of the faith and its followers. Since their founding in 1994, CAIR has sued and/or attacked with consequence such media outlets as: The Washington Times, The Los Angeles Times, The National Post, National Review, Anti-CAIR, various talk radio hosts, and college newspapers. Recently, even The Daily Caller has found itself caught in CAIR’s crosshairs. “It is really impossible to know how many people have been intimidated with these lawsuits because if you read the original letter they sent to me, you know, ‘don’t discuss this with anybody else.’ How many people have succumbed to that and said, ‘hey, we don’t want to get involved in this,’ and they’ve quietly gone away,” Andrew Whitehead, a blogger CAIR sued in 2004 for defamation, told The Daily Caller. Indeed, it was difficult to find individuals to go on the record for this article about CAIR’s alleged intimidation tactics for just that reason, as well as safety concerns of sources. 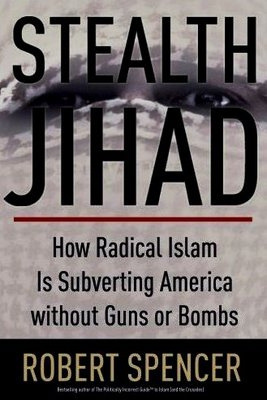 Whitehead’s case eventually was dismissed in 2006 after CAIR refused to disclose pertinent information (including the origin of its funding and their alleged connections with Hamas and other radical organizations) requested by the defense during the “discovery” phase of the proceedings. CAIR, billed by some as the country’s largest “moderate” Muslim rights group, is alleged by others to be in reality a radical front group with ties to terrorists and a record of unsavory dealings — which caused the FBI to end all of its dealings with the group in 2009. According to Stephen Schwartz, executive director of the Center for Islamic Pluralism, the CAIR’s primary directive is safeguarding radicalism. “Their actual mission, on the record — which is demonstrated by their public record from the beginning — is to advocate for and protect the influence of Hamas, the Wahhabis from Saudi Arabia, Pakistani radicals. I mean they are interested in legally protecting radical Islam,” Schwartz told TheDC. Despite such concerns, the group continues to wield a great deal of power as the purported mouthpiece for “moderate” Islam both in government and in the media. 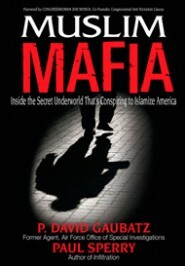 According to Daniel Pipes, director of the Middle East Forum, CAIR frequently meets with members of Congress and the administration on an unofficial basis. “They are not doing terribly well, in the sense that they are officially somewhat banned, but they are unofficially doing quite well and should that ban be reversed they will have great strength,” Pipes told TheDC. 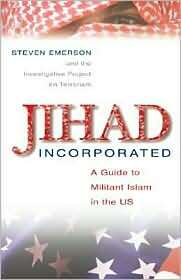 With the threat of Islamaphobia in their back pocket, CAIR agilely has been able to steer the media’s narrative. And what they cannot accomplish with press releases and influence peddling, they achieve through threats and lawfare. But even before that admission, CAIR was leveling suits against publications that crossed them. 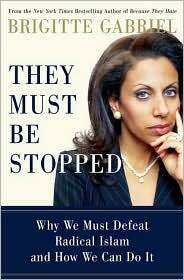 In 2003, CAIR sued National Review for an apparent error which appeared in an article by a guest reporter. National Review acknowledged the mistake, but the group pushed forward with their suit, bringing National Review to court. National Review won in the end, but, in the process, spent more than $65,000 in defense costs. “We viewed this as an attempt to intimidate and punish NR. We probably could have settled early and cheaply, but we took the more principled route — we fought back,” National Review wrote in a letter appealing for donations. CAIR also has been able to terminate careers. In 2005, despite widespread listener support and lip service to the importance of free speech, ABC radio fired Michael Graham from D.C.’s 630 WMAL in the wake of threats and pressure by CAIR for his criticisms of Islam as a terrorist organization. “What was told to me by people who would have knowledge of this inside ABC Disney was, CAIR sent out an appeal to people with large stock holdings in Disney and people from the Middle East responded to the appeal and pressured ABC Disney to dump me,” Graham said. Schwartz added that CAIR is not just focused on going after the ‘big fish’ as they want to show their might in any way they can. To them, no target is too small. “They concentrate on small issues, and small conflicts or complaints because they want to build themselves up in the Muslim community, local Muslim communities. So they try to spread their stuff out as much as possible,” he said.